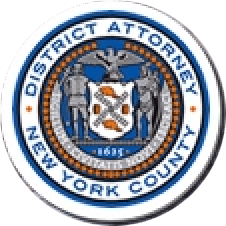 Manhattan District Attorney Cyrus R. Vance, Jr., today announced the sentencing of RAFAEL ANTONIO PEREZ, 52, to 25 years-to-life in prison for burning a 30-year-old woman to death in a Harlem apartment in 1997. On January 22, 2018, a New York State Supreme Court jury found PEREZ guilty of each charge in the indictment against him: two counts of Murder in the Second Degree and one count of Kidnapping in the First Degree. As proven at trial, in the early morning hours of December 7, 1997, PEREZ, previously convicted co-defendant DANIEL SANTANA, and two other individuals entered a second-floor apartment on West 150th Street where two sisters — including the murder victim, 30-year-old Carmen Cecilia Maria — and a male companion were sleeping. PEREZ and SANTANA woke the apartment occupants, placed them on the floor, and tied their hands behind their backs with wire hangers. PEREZ and SANTANA then searched the apartment for approximately one hour looking for drugs they believed to be in the apartment. Unable to locate the drugs, PEREZ and SANTANA demanded that the three occupants turn them over and began burning the male occupant on his back with a hot iron and administering electric shocks to his body. PEREZ then poured acetone down Ms. Maria’s pants and lit a match in an attempt to intimidate her, but instead set her on fire. She died at Harlem Hospital ten hours later from burn injuries to nearly 100 percent of her body. Meanwhile, the perpetrators fled the scene and the victim’s sister and the male companion fled the country out of fear, leaving the case unsolved. In June 2008, however, authorities located one of the survivors in the Dominican Republic and began actively reworking the investigation. The survivor identified PEREZ and SANTANA, and an indictment was subsequently filed in New York State Supreme Court. SANTANA was apprehended in New York on September 5, 2008. On June 13, 2011, a New York State Supreme Court jury found SANTANA guilty of all of the charges against him in relation to the 1997 incident: two counts of Murder in the Second Degree and one count of Kidnapping in the First Degree. SANTANA was sentenced to 25 years-to-life in state prison. Meanwhile, PEREZ remained in the Dominican Republic, evading U.S. and Dominican authorities from 2009 to 2013. He was apprehended in November 2013 and extradited to New York City in September 2014. Assistant D.A.s Jeanne Olivo and Eugene Hurley, Senior Trial Counsels for Trial Bureau 50, handled the prosecution of the case under the supervision of Assistant D.A. Warren Murray, Chief of Trial Bureau 50, and Executive Assistant D.A. John Irwin, Chief of the Trial Division. Witness Coordinator Judith Osorio; Senior Investigative Analysts Gillian Fisher and Susan Huang; Former Senior Investigative Analysts Henry Marley, Ryan Yuffe, and Amanda Epstein; the Manhattan DA Spanish Language Unit; the Manhattan DA Squad, especially Detective Jack Peters; and the Manhattan DA Investigation Bureau, especially Detective George Daley, provided valuable assistance with the case. District Attorney Vance thanked the following individuals for their work on the case: Chief Deputy John Hall of the U.S. Marshals Service; Detective Fausto Garcia and Former Detective Pedro Vargas of the NYPD’s International Liaison Program; Retired Detective Stefano Braccini of the NYPD Cold Case Squad; and Former Fire Marshals Kevin Larken and James Kelty, and Captains Jonathan Negron, Nicholas Aiello and Michael Galgano of the FDNY. District Attorney Vance also thanked Dominican authorities for their assistance with the investigation and extradition proceedings, particularly Colonel Horacio Veras of the Dominican National Police, the Junta Central Electoral, the Palacio de Justicia de Higüey, and the Dirección Nacional de Control de Drogas.